Zoooming Japan does what the title implies. It zooms Japan, bringing it closer to everybody and offering a lot of details about the country. As the author lives in the countryside, it gives you a different insight! Japan is not just the big cities! 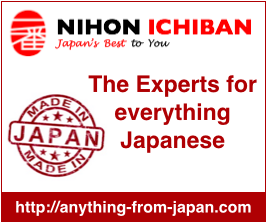 The website focuses on traveling in Japan, but also has a lot of other interesting information concerning daily life (e.g. how to obtain a Japanese driver’s license) and culture. Stay tuned while all the trips from early 2008-now will be presented with a lot of information and tons of photos! Great blog from a real Japanophile! The pictures are beautiful and the commentary interesting, informative and comprehensive. Great for travelers and natives alike! 5 stars!!! I really enjoy this blog and its wonderful photos! A great blog and definitely one to follow on Japan.